In the heart of the Ötztal Valley, an Approved Bike Area, lies the Hotel Bergland. This five-star accommodation is the ideal starting point for rides into the surrounding meadows and mountains. Here at the Hotel Bergland we even have our own bike shop and bike academy where experts are on hand to make sure you have the skills and equipment you need to stay safe and have fun out on the trails. 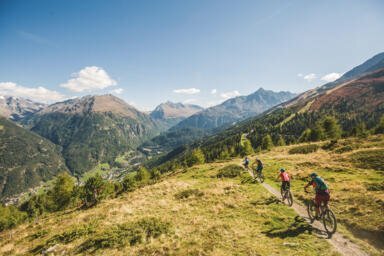 Talking of trails, the Ötztal Valley has a huge range of options for mountainbike riders to choose from. All in all there are 880 kilometres of signposted trails for all abilities, from easy cruising to adrenaline-pumping singletrail. 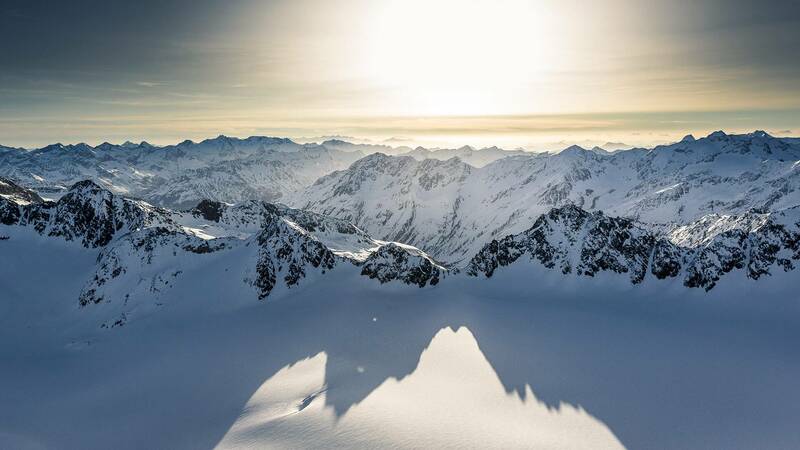 The trails also lead to many of the valley's most beautiful spots such as the Piburger See lake, the Ötztaler Ache river, lush meadows, glacier ice and 250 mountains over 3,000m in height. Ready? Let's go! "Bikes bring you to places that cars never see." We Live Biking – at the Hotel Bergland Sölden! Here at the Hotel Bergland we know what mountainbike riders want and need on holiday. That is why we offer lots of extra services such as high-energy food, a laundry service and a lockable bike storage room as standard. The journey is the destination: with the "Ötztaler Radweg", the initiators steadily improve the mountainbike experience for our guests. The official bike route gets (e)bikers off the streets and on to a purpose-built cycleway through the whole valley. A big part of the project (Sölden-Aschbach) is already finished and can be used anytime. The local guides at the Bike Academy Sölden know the region inside out and will be happy to show you the best trails and tracks in the Ötztal Valley. They also offer bike-handling sessions to improve your balance and confidence. Visitors without a bike can simply pay a visit to the Intersport Glanzer sport shop in the hotel building. There they will find everything they need for a great day out in the mountains, from children's bikes and e-bikes to roadbikes and all the related accessories. As well as its perfect infrastructure and top service, the Ötztal Valley also attracts many riders thanks to its well-known events. The season starts with the traditional Bike Opening at the BikeRepublic Sölden, a freeride park with countless jumps and trails to explore. 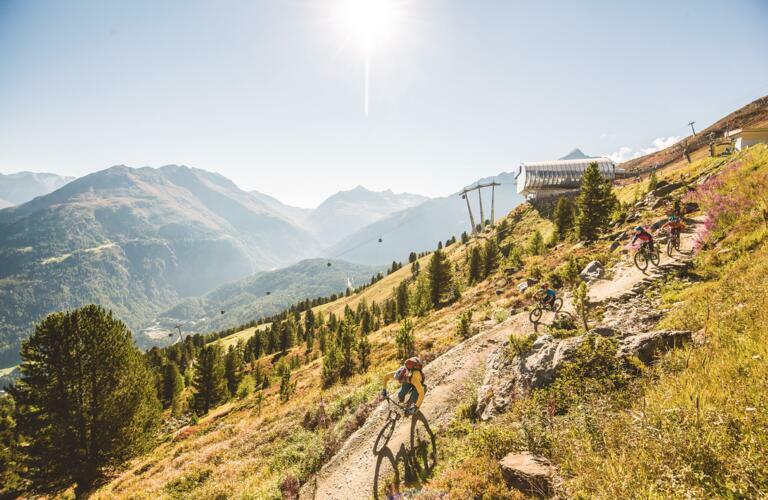 Other top events in Sölden include the Singletrail Schnitzeljagd and the famous Ötztal Bike Marathon which draws riders from around the world every August. The Hotel Bergland has been named on a list of tried and tested hotels where cyclists will find everything they need for a great holiday. To qualify as "quality-approved bike accommodation" hotels and guesthouses must meet strict criteria on the facilities and service provided.